In a long-anticipated move to become not only a supplier and services provider, a helicopters and aircraft engines producer, but also a manufacturer of fix-winged aircraft, Russia’s state-owned hi-tec and aviation behemoth Rostec has won President Vladimir Putin’s final approval for integrating United Aircraft Corporation (UAC), parent of Russia’s major aircraft manufacturers Sukhoi, MiG and Irkut. It means that Rostec will now acquire 92.31 per cent of UAC’s shares from its current owner, Rosimuschestvo, the federal agency for state-owned property management. The resulting aviation cluster will have an estimated turnover in excess of one billion roubles (US$15 billion). The scheme, which has been on the agenda for the last few years and has survived several iterations before taking its current shape, is aligned with Rostec’s ambition to consolidate all national aviation assets in its hands. The corporation already controls the country’s rotorcraft monopolist Russian Helicopters, aircraft engine monopolist United Engine Corporation and some 750 aircraft components producers that supply up to 70 per cent of parts for UAC’s aircraft programmes. Although Rostec’s executives insist that the resulting structure has Europe’s Airbus as its role model, in reality it is remarkably similar to the former Soviet Union’s Ministry of Aviation. 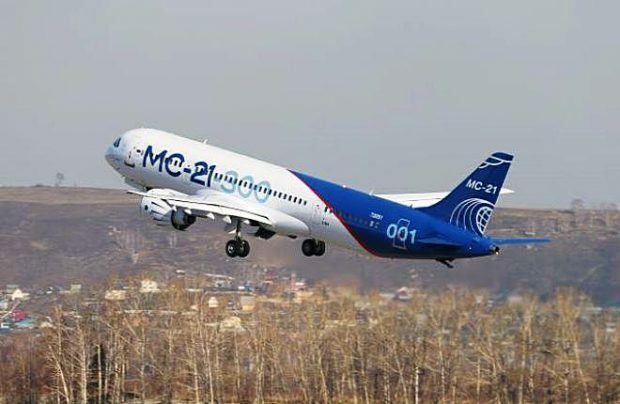 To support its case, Rostec said it is willing to invest up to 40 billion roubles into the MC-21 project, Russia’s advanced, medium-range airliner programme, taking some burden away from the federal budget. Initially proposed by the Ministry for Industry and Trade, the scheme received the blessing of President Vladimir Putin earlier this year before running into obstacles. Specifically, one of the proposals – to merge the UAC with Russian Helicopters, which is already a part of Rostec – was rejected over concerns that both companies’ minor shareholders (including the Russian Helicopters’ Abu Dhabi-headquartered investor Mubadala) would wish to shake-off their shares worth between $400 and $500 million. One serious argument against the amalgamation of UAC with Rostec is that the latter is currently restricted by US economic sanctions, a disadvantage that would spread to the aircraft manufacturers, greatly aggravating their relations with their international partners in the global aerospace industry. How this factor will be overcome remains unclear. The remaining 4.47 per cent of UAC is owned by state-run VEB bank, and 3.22 per cent remains in the hands of private investors.